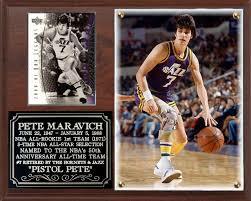 Pete Maravich was born in Western Pennsyvania, near Pittsburgh on June 22nd 1947. What I learned from Pistol Pete was that you need lots of determination. When he was younger he played basketball for hours a day so he could outplay his opponents. I think that I need to use some of that determination in my life. 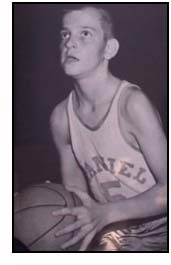 Pistol Pete started playing high school basketball at the age in 8th grade. One year before you are supposed to. After making a spectacular play in his first ever high school game Pete said that, " I think, right then, showtime was born" (Federman 25). 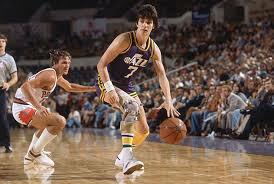 Pistol Pete attended Louisiana State University where he played basketball for four years. 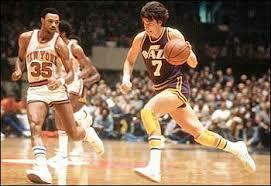 Pistol Pete began playing basketball professionally in 1970. The Atlanta Hawks drafted him in the first round third overall. Pistol Pete's team did not perform well in this season, but he sure performed well. He finished 2nd in the league in points scored per game. He averaged 27.7 points per game that season. 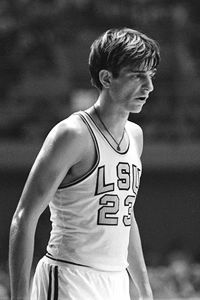 Pete Maravich was traded to the New Orleans Jazz in 1974. The Jazz were looking for a dynamic play, and that is what they got from Pistol Pete. 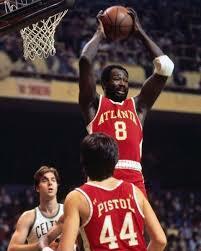 The 1976-1977 NBA season was one that Pistol Pete would never forget. He lead the league in points per game. He averaged 31.1 points per game, and he scored the most points in one game in history. He scored 68 points against the Knicks during that season. Pistol Pete was inducted into the Basketball Hall of Fame in 1987 because of how good of a player he was in the National Basketball Association. When he was inducted he was asked about his retirement, and he said, "Most of the guys in this game had a big sendoff when they retired, but I just kind of faded away" (federman 353). 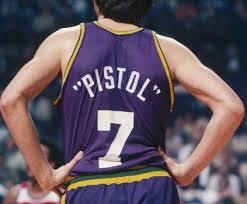 Pistol Pete died on January 5th 1988. He died due to heart failure while playing a pick up game of basketball in a local gym. He died playing the sport that he loved all his life.